[I just caught this report moments before FTW is bringing it to you and had no time to corroborate it. If true, as Hugo Chavez laughed at President Bush from the U.N. podium at the General Assembly, his laughter may be supported by a growing strength in Latin American ties. 'School of Assassins' One Step Away From Closure? At long last, the ignominious U.S. Army School of the Americas may be breathing its last. Argentina, Bolivia, Uruguay and Venezuela have stopped sending their military officers to the Spanish-language military academy run by the CIA at Fort Benning, Geo., and funded by U.S. taxpayers. The SOA is losing four countries whose citizens endured some of its bloodiest teachings. More withdrawals are on the way. Brazil, Chile, Ecuador and Peru may be next to pull out of an institution that has embarrassed the U.S. government and mortified principled Americans for more than half a century. 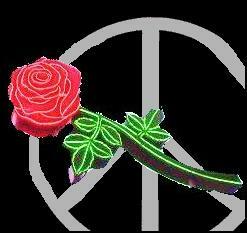 At home, efforts are being exerted to bring the SOA's bloody history to an end. Introduced by Rep. James McGovern, D-Mass., an amendment to the Foreign Operations appropriations bill proposes the elimination of all funding for the school. Born in Panama in 1948 and now billeted at Fort Benning, near Columbus, Geo., the SOA closed in December 2001 and reopened a month later, unchanged but now pompously renamed "Western Hemispheric Institute for Security Cooperation." "It was like perfuming it in a toxic dump," said Roy Bourgois, who heads SOA Watch. Over the last 60 years, 62,000 military personnel from 18 Latin American and Caribbean basin nations graduated from the SOA, among them some of the most ruthless despots and human rights violators. The U.S. whitewashed their crimes by describing them as "counterinsurgency operations." 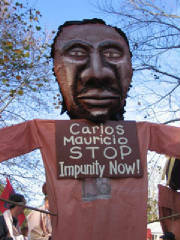 Many graduates went home and engaged in horrific human rights abuses against their own people. Scores of alumni became military dictators - or their lackeys - putting their U.S.-acquired military training to diabolical use in the 1970s and 1980s. Violations included mass arrests, secret and prolonged detentions, torture, "disappearances" and unspeakable abuses clearly in violation of fundamental human rights. Most of the persecutions involved teachers, students, union organizers, journalists and even clergy, some who preached the oxygen-rich Liberation Theology, others whose only crime was to teach indigenous children how to read and write. The legitimacy of the SOA and its successor institution shrinks exponentially as its history unfolds. The SOA's graduate roster teems with thugs and pathological criminals: Panamanian dictator and convicted drug trafficker Manuel Noriega, ex-head of the Argentine military junta; General Leopoldo Galtierri, implicated in the kidnapping and disappearance of 18 leftist sympathizers and the death of three Spanish citizens; and Roberto d'Aubuisson, mastermind of the Salvadoran death squads and Archbishop Oscar Romero's assassin. D'Aubuisson also took part in the 1989 El Mozote "incident," during which 900 civilians - men, women and children - were massacred. Of the 26 men who took part in the assassination of six Jesuit priests and a female employee at a Jesuit mission, along with her 19-year-old daughter, were SOA graduates. Also trained by the SOA were Bolivia's Hugo Bnzer Surez, Guatemala's Efra'n R'os Montt (author of the "bullets or butter" decree - butter if you obey, bullets if you don't), Chile's convicted murderer, Augusto Pinochet and Honduras' Policarpo Paz Garcia, whose governance was marked by corruption and the emergence of Batali-n 3-16, a secret right-wing paramilitary death squad trained by the CIA. Batali-n 3-16 was called upon during the Reagan administration and by U.S. military "advisers" in Central America to support the Contras. Veterans of the Batali-n are suspected of carrying out extra-judicial executions in Honduras. Influential "gray eminences" working behind the seats of power also received training at the SOA, later applying the lessons learned in the form of repression, torture and assassinations. Vladimiro Montesinos, security adviser to Peru's ex-President Alberto Fujimori, was a star student at the SOA. So was Manuel Contreras, head of secret services during the Chilean dictatorship. Contreras engineered the murders of former army chief Carlos Prats in 1974 and ex-Foreign Minister Orlando Letelier in 1976. SOA's divisive past includes the use of military training manuals, which instructed students in the use of torture as an acceptable method for obtaining information from potential suspects. Perhaps the SOA's notoriety is merely coincidental. But the declassification in 1996 by the Pentagon of seven SOA training manuals used at the school between 1987 and 1991 suggests otherwise. SOA students were given U.S. Army-issued training manuals which detailed unconventional and coercive interrogation tactics and routinely condoned human rights violations. These guides came to be known as the "torture manuals." According to a Defense Department summary of the handbooks, the U.S. military spelled out acceptable methods for acquiring information that included "beatings, false imprisonment, executions and the use of truth serum." Latin American movement to close the school began to develop in the 1990s and resonated quickly in the U.S. 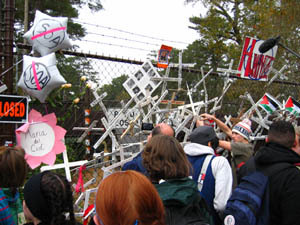 The campaign to shut down the SOA received a huge boost when articles in the mainstream media began detailing torture manuals and other techniques taught at the SOA. The SOA continues to wage war. A resurgence of human rights violations in El Salvador, Guatemala and Honduras, and the ongoing conflict in Colombia, are grave reminders that ideology-driven violence is picking up steam in Latin America. 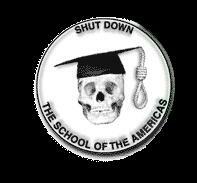 The School of the Americas, aka Western Hemisphere Institute for Security Cooperation, must be shut down for good. A long overdue and rigorously detailed post-mortem of this infamous "school of assassins" must follow. Willy E. Gutman of Tehachapi is a veteran journalist on assignment in Central America since 1991. His column reflects his own views, and not necessarily those of The Signal. Together We'll Shut it Down! This November 17-19, thousands will gather at the gates of Fort Benning, Georgia for the Vigil to Close the School of the Americas! Following on the heels of our first vote in Congress in seven years, this year's Vigil is shaping up to be a powerful time for movement building and an effective tool in the campaign to close the SOA/ WHINSEC. Read about past Vigils to Close the School of the Americas. NOVEMBER ORGANIZING PACKET: The November Organizing Packet is a great resource for you and your community as you spread the word about the SOA/ WHINSEC and as you make plans to attend the November 17-19 Vigil to Close the SOA at Fort Benning, Georgia. In it, you'll find information about what to expect at Ft. Benning, logistical information to assist your trip planning, media, legislative, fundraising and outreach tips and resources, and flyers you can reproduce and use in your community. Click here to view, download or order a hard copy of the packet. HOTELS: It's never to early to book your lodging for the weekend, as many hotels fill up months in advance. See a list of hotel and other accomodations in and around Columbus, Georgia. Contact Alyson Hayes at the Columbus Visitors Bureau with any questions at 1-800-999-1613. OUTREACH: Order palmcards like the one pictured at left and extra copies of the SOA Watch Newspaper for use in your community. Order Palmcards. SOA Watch newsletters are available for distribution as well. To order or find out more, contact us in the SOA Watch office at 202-234-3440 or email info(at)soaw.org. TRAVEL: See information on traveling to Columbus, whether by plane, car, bus, train or something more creative. ACCESSIBILITY & INTERPRETATION: Find out more about ASL and English<>Spanish intrepretation services, large print and Braille programs and wheelchair accessibilty. LOCAL GROUPS: Do you know others in your area that are working to close down the School of the Americas? Connect with others now before heading to Georgia. Click here for a listing of SOA Watch local groups. If your group is not listed, please add your contact information. Don't see a group for your area? Consider starting one! For more information, contact us at info@soaw.org or at 202-234-3440 or contact your regional representative for more information about those in your region working to close the SOA/ WHINSEC. More than 10,000 Colombian soldiers have been trained at the SOA/WHINSEC. Colombia continues to send more soldiers to the SOA than any other country--with chilling results. Graduates of the school are consistently cited for human rights abuses. The U.S. is an active contributor to the war in Colombia, providing billions in military aid and training to the Colombian military. Movements for justice in the Americas need to stand in solidarity with the people of Colombia, work to change U.S. foreign policy and close the SOA. On February 21-22, 2005, eight members of the San José de Apartadó Peace Community in Urabá, Colombia—including three young children—were brutally massacred. Witnesses identified the killers as members of the Colombian military, and peace community members saw the army’s 17th and 11th Brigades in the area around the time of the murders. 'Demand' That Close the School of Assasins Be Shut Down! Thank God For Portland Indy Media They Are On the Front Lines Bringing All Us 'Joe-Anybodys' This Kind of Real World Reporting. FUNDED BY CONCERNED CITIZENS AND NON CORPORATE MONIES. PROTEST FOR PEACE I HAVE BEN WAITING FOR JUSTICE TO COME.